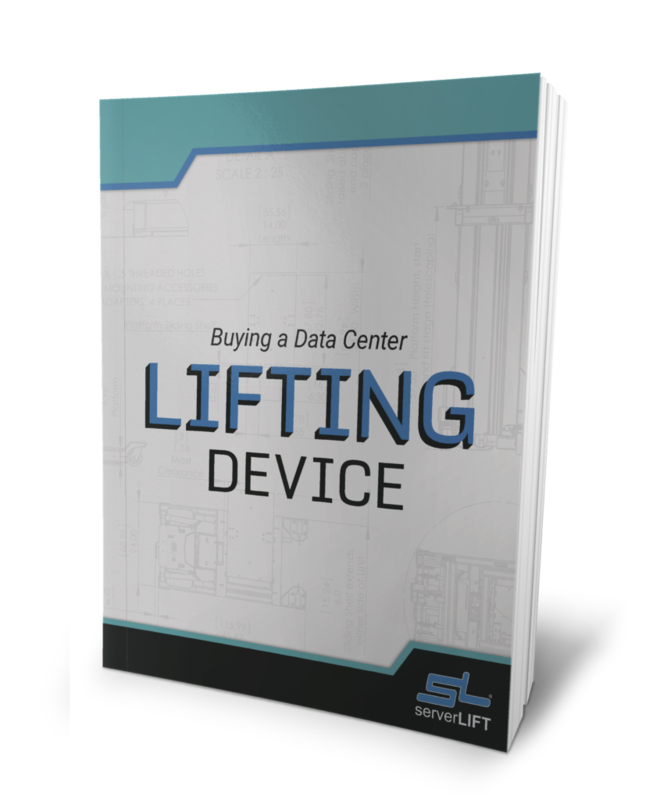 Adding a properly designed server handling lift to your data center operations simplifies server maintenance and data center moves. Warehouse lifts are designed to move boxes and items on pallets in wide, spacious passageways, with little regard for how precisely they hold and handle their payload. In fact, lift tines and warehouse lift platforms can sag under load, by several inches, because their purpose is not precise, level positioning for tasks like rack installs. Furthermore, because their job is lifting boxes and pallets in a warehouse environment, it is generally acceptable for them to employ hydraulics or open systems replete with pinch points. However, that is a major no-no in clean room data centers where the use of clumsy, inappropriately designed warehouse lifts creates new challenges and dangers. A lift designed specifically for data centers navigates much more effectively in tight server room aisles. Its rigid structure keeps the equipment aligned for installs, and it provides support for servers into the cabinet. It allows your staff to migrate, refresh, and maintain servers and other IT equipment with a facility-compliant tool. It should minimize risk of injury, and damage to expensive equipment and structures. 1. Can the Server Handling Lift Carry Out the Essential Functions that Eliminate Manual Handling? When making your purchase decision, remember that in order to be useful as a server handling lift, the machine you select must be able to perform all of the following essential functions – transport, position, and install/remove – within the confines of your data center environment. Traditional material lifts or any lift that cannot safely carry out these activities should not be considered. Whether it’s navigating narrow server room aisles, positioning servers with the necessary finesse, or supporting the equipment during an install, most can do one or two of these functions, but not all three. You need an Assisted Lifting Device designed to transport equipment around any data center, where expensive, unprotected equipment and tight aisles between server racks limit turning radius and maneuverability. Its wheel size and a low center of gravity must enable it to travel smoothly and safely over raised floors, ramps, channel raceways, elevator car sills, and rough surfaces such as perforated tiles or grates and concrete expansion joints. Your lift must respect low ceilings in cold and hot containment units, door openings, elevator entrances, drop ceilings, and overhead cable trays, lighting, conduits, and ducts. It should be able to position servers while not interfering with all these obstacles or at least not damaging them. 2. How Often Do You Move Servers? 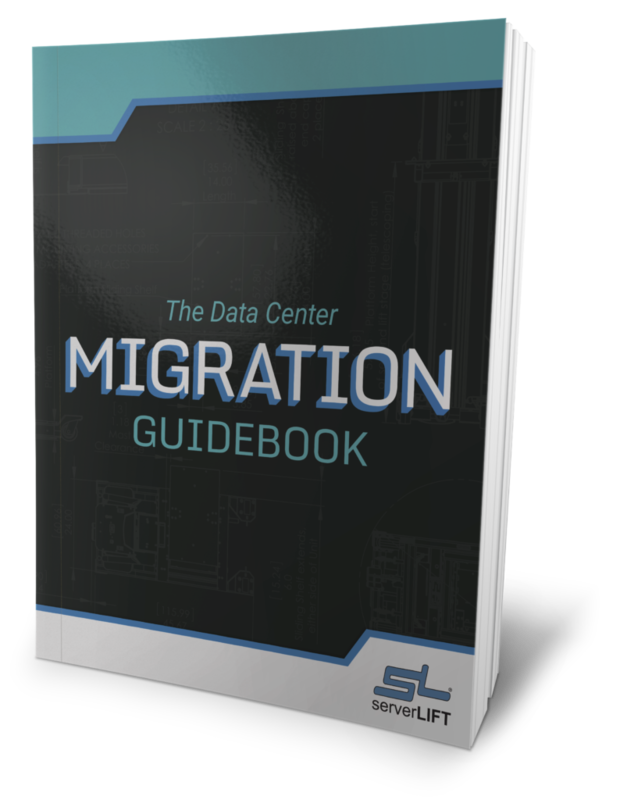 For infrequent migrations with only a couple of servers at a time, a manual data center lift that meets the criteria stated above, provides data center managers with a viable alternative to the dangerous work of lifting equipment by hand. It will also satisfies strict safety department requirements and eliminates the sometimes overlooked risks of the job. However, for most reasonably sized data centers, a motorized lift is an even better option. From simple server refreshes to migrating entire racks and many servers at a time, a motorized lift is always a more efficient and easier-to-use tool to keep IT staff happy and focused on the brainwork. The aggregate total migration weight and number of tasks handled daily, weekly, or monthly add up, in terms of muscle strain. Avoiding that requires a motorized data center lifting device. It should include a heavy-duty motor, deep-cycle battery, and safety lock-outs to handle the equipment and keep your IT staff on-task and not in pain. 3. How Much Does Your Heavy Equipment Weigh? Server weights vary from tens to hundreds of pounds, and during big moves you may find your staff migrating several servers at a time. That’s when you want a heavy-duty lift with a large capacity. Your maximum anticipated load size plays an important role in deciding which server handling lift best fits your data center needs. If you have one component weighing 500 pounds (226 kg) or more, for example, you need a lift rated at or above that weight. Likewise, if you plan on taking advantage of the efficiency of moving several lighter servers at the same time, for a rapid install, their aggregate weight could easily exceed a few hundred pounds. In that case you’ll also want a data center lift rated to carry at least that amount of weight. Choose a lift with a carrying capacity greater than your highest anticipated weight, whether moving one piece at a time or moving several in a single trip. Data center managers should choose a device with enough reach to assist installs at the lowest and highest points of their cabinets. 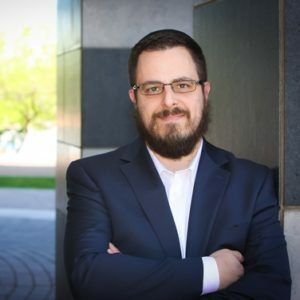 Because data center “real estate” is at such a premium with sky-high operational and cooling costs, achieving a high server density is critical. Empty slots at the top or bottom of your rack is something you can’t afford, especially if it’s not by design, but because your chosen lift tool can’t do the job. 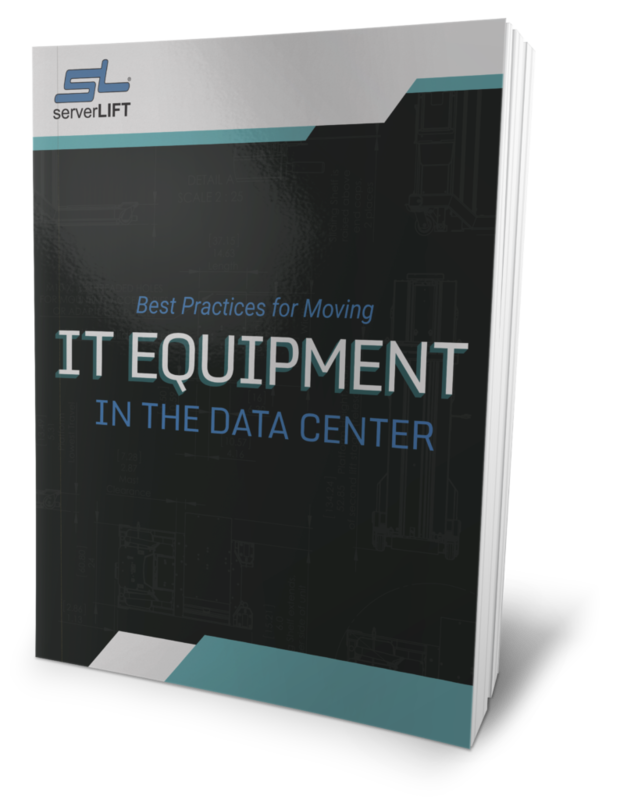 When servers are delivered to your facility, your IT techs need the right tools to get them unpacked, off the floor or pallet, and into their working position in the server cabinet. Unpacking heavy IT equipment by hand, can require two or more people bending down to floor level, and you may be forced to destroy some or all of the packaging to successfully get the equipment out. Wherever you’ll be using your server handling lift, federal, state, and local regulations may require that your it meets safety and quality standards. Be sure to choose a lift that meets the requirements of your internal safety standards as well as those of the jurisdictions covering your facility. The EU, for example, requires that every piece of equipment be CE certified. In the United States, many companies or jurisdictions require commercial FCC compliance to avoid electromagnetic emissions and interference with surrounding equipment. As you compare server handling lifts, the importance of choosing one that is capable of carrying out the three essential functions of a data center lift cannot be overstated. 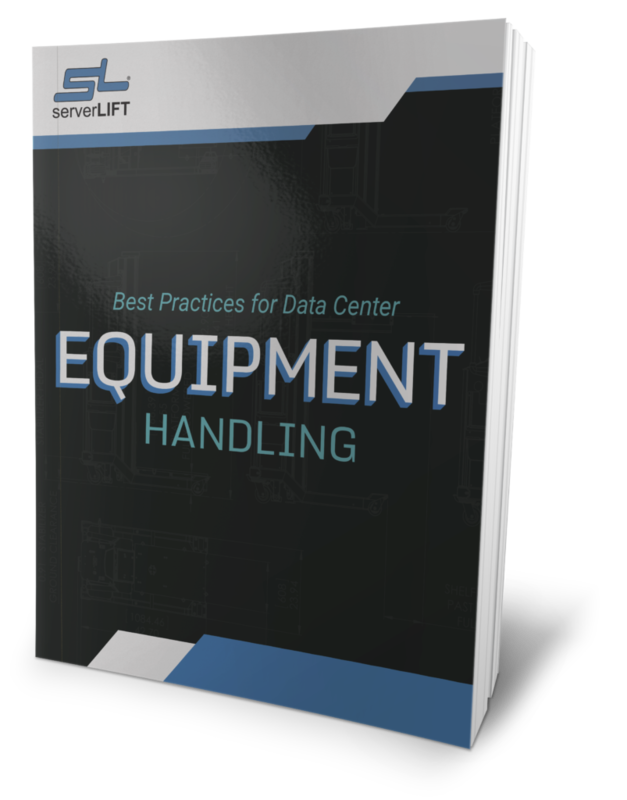 You will find yourself doing a lot more dangerous manual handling of heavy equipment than you bargained for if your lift can’t properly assist you in transporting servers around the data center, positioning them where they need to be, and providing access and support when installing/removing them to and from cabinets. 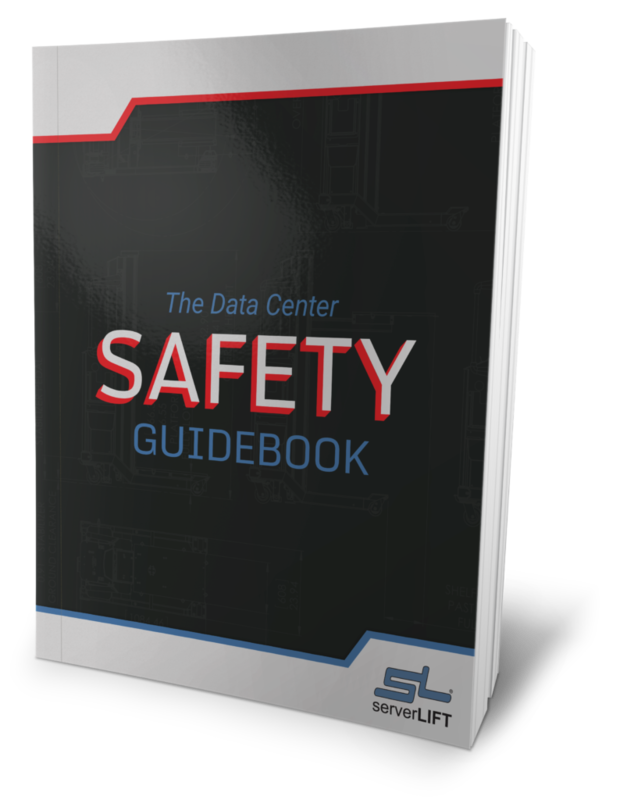 The lift you select must be able to carry out these functions effectively and efficiently – without putting your staff or your data center equipment at risk. Finally, it must be capable of operating correctly in the unique configuration of your data center environment, yet still have the strength, reach, endurance, and stability to handle heavy equipment faster, better, and safer than you can do by hand.